The cover was one of the very first illustrations I did for the project². I can only take credit for the line art—the coloring and layout is someone else’s work, and they did a brilliant job of taking my riff and sticking the landing. It’s beautiful. 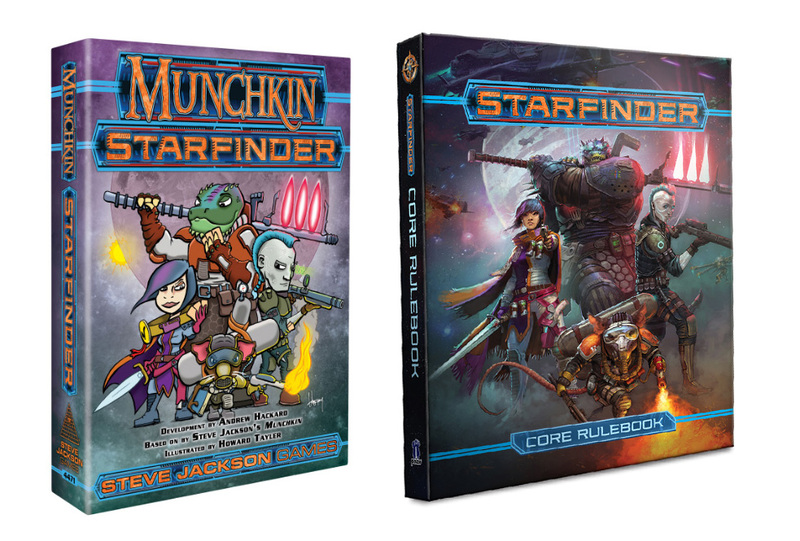 Steve Jackson Games³ is Kickstarting this project on October 23rd. Don’t tell me how you can’t wait. The 23rd is close enough that it might as well be now. I have been waiting since August 20th. ¹ My contributions, specifically, are the line-art. I don’t know who is doing the coloring, but they’re crushing it. ² A very clunky version of this cover was my “audition.” I’m quite pleased to tell you that my contract prevents me from showing it to anyone at this time. ³ Got questions about the game? You should take those questions to Steve Jackson Games, because I don’t know anything useful. The moment I held these in my hand I knew I had to own them. 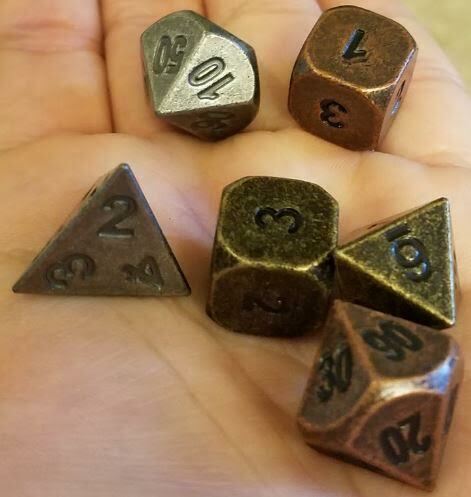 These are metal dice from Die Hard Dice¹, and if you like the feeling of doing something significant when you’re rolling dice, you will like rolling these. The set pictured above is the “ancient” finish. I selected “Brilliant Gold,” “Battleworn Copper,” and Nickel for myself. When I ran the Planet Mercenary play test at ConFusion I used two nickel six-siders and one gold one, which is pretty much perfect for the permutation factoring built into the Mayhem system. I got the metal boxes for mine, along with a play mat which protects the surface of the table, and distributes enough of the throw² energy that the dice stay on the table, even when you roll them in a bit of a panic. I can’t properly describe my delight at the kinesthetic experience provided by these dice. I can describe the jealousy of the others seated at the game table, but I shan’t, because I hold those fine individuals blameless. I’d be jealous too. The RPG sets (d20, d12, 2xd10, d8, d6, and d4) plus a metal box are $26.50. The 5xd6 sets are $18. The play mat is $8. There are “Brilliant Gold” RPG sets available with the box at scratch-and-dent pricing for $18. I don’t know how they scratched or dented the dice themselves, but I assume a diamond press was involved. 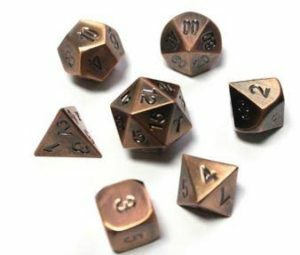 When I perused the Die Hard Dice website for links, I found that they have a new series of chrome dice with colored numbers. These will be mine as soon as Sandra gives me permission to spend money again. ¹Disclaimer: I accepted these as a gift³, with the understanding that if I loved them, and could in clean conscience recommend them, I would do so. I do, and I can, so I am, and now I have. ²Do not throw-throw these. They will do real⁴ damage. Roll them, like a gamer. ³If you were to take these away from me and tell me I needed to pay $75 to replace them I would do so the moment Sandra looked away from where my wallet currently sits. ⁴If you are actually being attacked by something, these dice will fit in a conventional slingshot and inflict sufficient injury that you might be able to escape while your adversary admires your choice of projectile. I’ve got a full plate this month. Aside from wrapping up the climactic bits of Schlock Mercenary: Delegates and Delegation (the current story online) I need to tackle the bonus story, the cover, and the marginalia for Force Multiplication so that we can send it to print. Then there’s the substantial task list for the upcoming Schlock Mercenary role-playing game, designed by Alan Bahr, with lots of input from me. The core game stuff is done, and once we’ve got some art to show off we’ll start building a Kickstarter page. 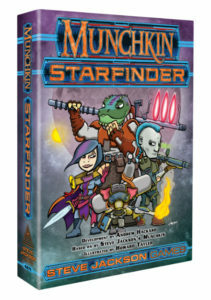 That campaign will likely go live sometime in mid-March, and will support the production of a very nice, fully-illustrated rule book, and some odds and ends that will make some of our peculiar (maybe even unique) game mechanics fast, intuitive, and hilarious. I say “we” with regard to the art. I’ll be doing a few, goofy comic-type things in the book, but most of the artwork will be the sort of thing that you’d expect to see in a wonder-invoking, far-future, science-fiction RPG book. Full-color, fully rendered characters, weapons that look like they’d actually work, and vehicles that are more interesting than the things I dash off with a straight-edge and a circle template. Think of it this way: Schlock Mercenary, the comic strip, is the canonical story, but the comic’s artwork is mere caricature. 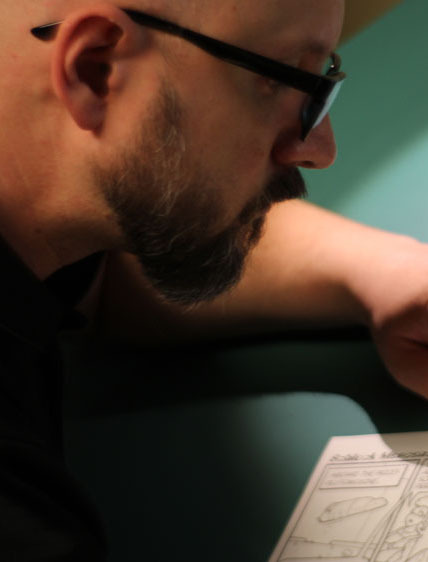 The RPG book will show you that universe more clearly, and give you and your players much better starting points for your flights of fanciful shared storytelling. Back to the task list: I’m also featured pretty heavily in the programming of LTUE, the SF&F symposium here in Utah on February 12th, 13th, and 14th (Thurs-Sat.) and at the end of February I’m flying to Chicago to record more Writing Excuses Master Class sessions. You might get a movie review or two this month. I’ve seen Strange Magic and Into The Woods, and I’ll be seeing Jupiter Ascending, but the real time sink is actually writing them up. And speaking of writing, I’ve got a bunch of prose fiction on my plate as well, so I should finish writing this, and start in on some actual work. Last night’s RPG session was a one-shot adventure with completely fresh characters. Instead of having us start the game in a tavern, Bob had us wake up in jail. Jailer (played by Bob): You set fire to an outhouse. Mika the Cleric (played by me): I… I think I remember that. Jailer: It was a very nice outhouse. It had running water. Mika: Yeah, it’s coming back to me now. That water can’t be safe. Not in an outhouse. Jailer: The owner is very upset. Mika: We were doing him a favor. Jailer: You burned his outhouse to the ground. Mika: The outhouse had it coming. Mika: Look, if “Lance of Faith” sets a building on fire, the building is obviously an unholy abomination. All of this was just a prelude to us getting recruited to clear out the kobolds in exchange for some charges being dropped. Which meant, of course, that most of the rest of the dialog in the game was nowhere near as interesting. Well, maybe except for the part where I related the legend of the Gnomish village of Riverton that had dwarven ale delivered for their big celebration. Three days later the village was in the next county over and all the buildings were upside down.